– integrating NVC in your work as a trainer. – take part in the intervision. – for certified NVC trainers who want to develop their skills and share experiences. If you need accommodation, you can sleep in Leance – let us know that you want to use this option. Shona Cameron – Psychologist, trainer, mentor, CNVC Assessor. For over 17 years she worked as a school psychologist in Great Britain, including 11 as a certified CNVC trainer (Center for Nonviolent Communication). At that time she was not only a psychologist, but also a coach, therapist, facilitator, supervisor, team leader and co-worker. Over the years, she has earned the reputation of a person who works “a bit differently”. Using NVC, she created new ways to work with teachers, parents and students, and to give them more power. At present, it is the most important to her to create a “relational environment” in which interpersonal relationships come first. She works as a consultant and trainer dealing with adults in the education system, in order to bring lasting change in the most peaceful way. She longs to be in the young people’s environment. – to make it easy for you to decide how much you want to and are able to contribute. – We need to collect 9 000 PLN to make this event happen with all external costs covered (room and board for the trainer and organizers, transportation costs, materials, conference rooms). 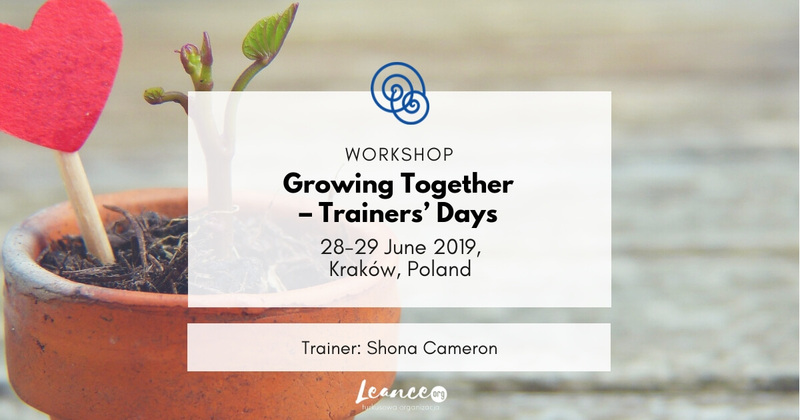 – We need to collect 12 000 PLN to cover all external costs of the workshop and to take care of material needs of the trainer and organizers. – if you have stability in salary, savings and security in your financial situation, please choose an amount starting from 880 PLN. – if you struggle with financial resources, please choose an amount starting from 700 PLN or contact us to find an option that works for all of us (e.g. installments). To register, please, fill in the Registration Form here: https://goo.gl/forms/M7bhkvkj461Apz1y2 and pay the chosen amount within 7 days to finalise your registration process.